To separate one area of our house to another, we tend to put a piece of furniture like the Nexxt Bota Triple-Panel Floor Screen in between. Furniture pieces like these are normally stationary but not the floor screen from Nexxt. 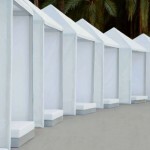 The screen is freestanding, composed of three panels, and can be folded when not needed. The modern botanical design gives the screen a refreshing look that on the other hand creates a cool and relaxing ambiance to your home. 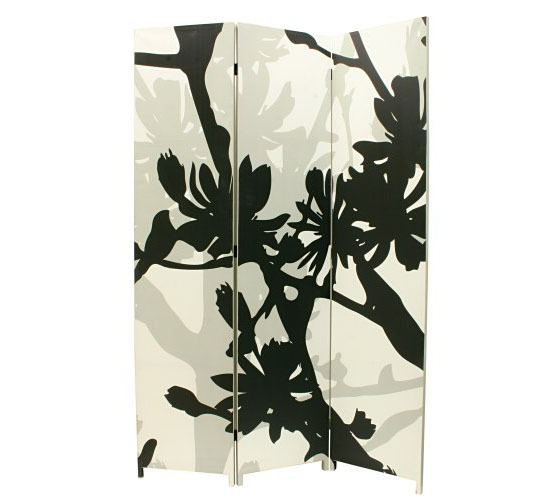 Each of the three panels features stretched white canvas with botanical design in black and taupe printed on it. The print includes oversized silhouette of three branches, flowers and birds. The best thing about the floor screen is the absence of assembly requirement. This means that, even people with no experience in carpentry can enjoy the beauty of the screen with ease. The screen measures 48 inches wide by 71 inches high by 1 inch deep making it a perfect divider to your home. The modern oversized silhouette design of the screen makes it not only a perfect piece of furniture to separate areas of the house but also it makes the screen a perfect addition to your collection of modern home decors. 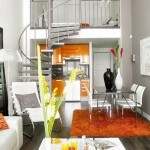 It does not matter at all where you are living because the screen is designed to work perfectly fine for studio apartments, lofts, and open floor planned houses.